As we said last year, late mediaeval prelates were often well-connected. Indeed, as this ODNB article shows, William Pykenham, Archdeacon of Suffolk, died some time in spring 1497, approximately sixty years after his father. His mother was Katherine Barrington, of the prominent Hatfield Broadoak family, which explains some of his appointments through her Bourchier and Stafford social connections, including that of Rector of Hadleigh in 1470. He served as an executor for his patron, Thomas Bourchier Archbishop of Canterbury, in 1486 and then for Cecily Duchess of York in 1495. 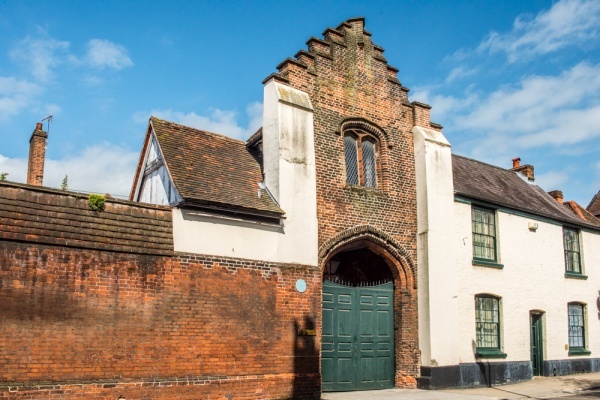 In his role as Archdeacon, Pykenham is associated with two great buildings, of which only these Gatehouses remain: one in Hadleigh and one in Ipswich. He also had dealings with two maternal cousins: Thomas and Thomasine Barrington, the latter being the wife of Sir John Hopton of Blythburgh. 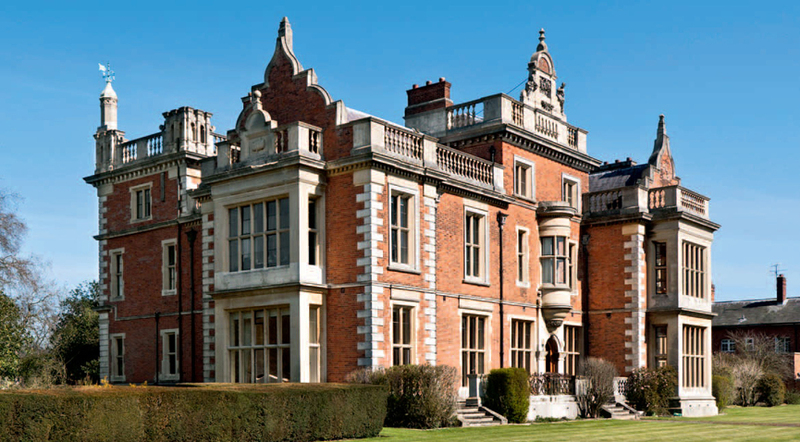 Here too (top) is Barrington Hall, home of the family that included Sir Thomas, second husband of Winifred Pole: Barringtons. The descent of Katherine and Thomasine cannot yet be precisely traced. Where lies Harry Stafford, Duke of Buckingham? 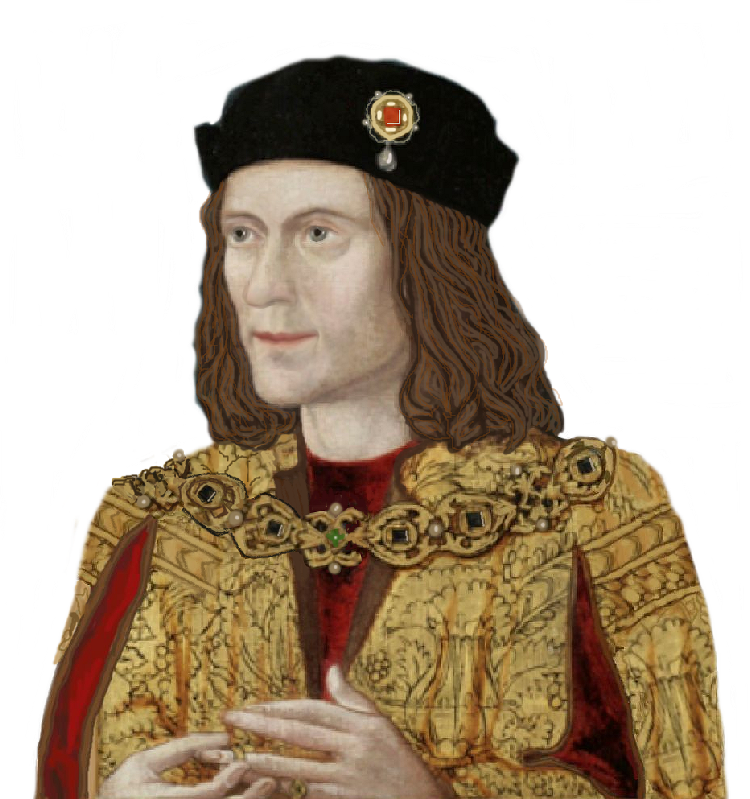 No one can say for sure, his final resting place is as elusive and entwined with myth and legend as Richard III’s once was. Stafford, leader of the October 1483 rebellion against Richard, was turned in by one of his own men while hiding in a cottage, apparently in peasant dress, after heavy rain and the flooding of the Severn caused his uprising to fail. He was taken to Salisbury, where on November 2, he was beheaded in the Market Square. He supposedly begged to speak with Richard, who was staying either at the King’s House in the cathedral close or at the priory at nearby Wilton. Buckingham insisted he had important information for the King. Richard refused to see him, this man he had called ‘the most untrue creature living’ and the execution took place as planned. It was unusual, as it took place on a Sunday, and on All Souls…and it was also the birthday of Edward V (which just may be significant considering Buckingham was named in regards to the Princes’ murders, if murdered they were, in documents both in England and on the Continent. But what happened to the remains of this great traitor, himself of royal descent, who had perhaps even dreamed of wearing the crown of England himself? A near contemporary report says he was buried in the church of the Greyfriars in Salisbury. This Franciscan Friary has now completely vanished and stood near to St Anne’s street and Brown street; a commemorative plaque has been set into a building near the presumed spot. This is the only document that mentions his resting place, and there is always the vague possibility they are confusing him with his grandfather, who was buried in Greyfriars in Northampton. 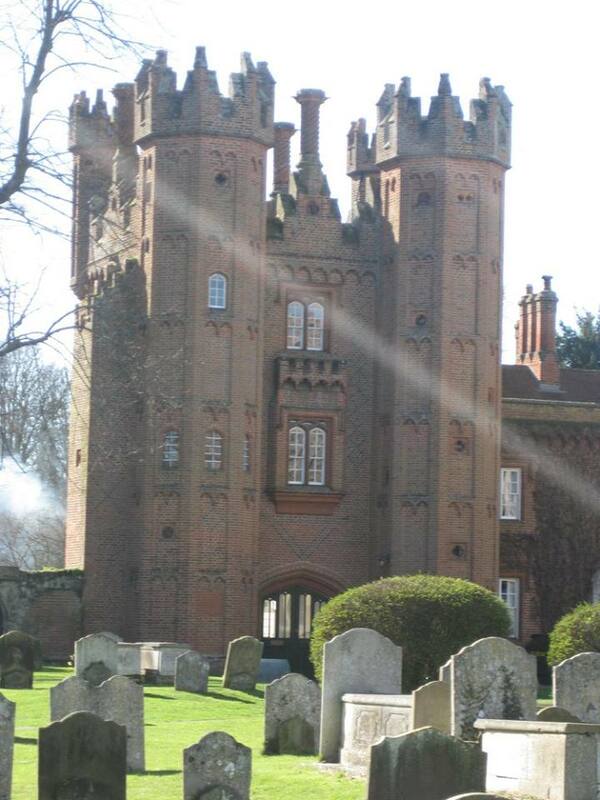 However, a mile outside of the city centre, in the sleepy village of Britford, another tomb claims to be Buckingham’s. A Victorian plaque above it declares that it is his grave. It is the only large memorial in the church—comprising the top of a large canopied tomb, which stands above a smaller tomb-chest capped by Purbeck marble. The chest does in fact bear a shield bearing one of the devices of the Staffords. But the top of the tomb is probably a hundred years too early, and the chest may be too early as well…although the lid has some features that suggest it was 15th century. Perhaps the tomb was reused for Buckingham’s burial? Certainly both the canopy and chest came from elsewhere, probably from one of the ruined friaries after the Dissolution. They were not always situated in tiny Britford church. So it could have been taken from Greyfriars. A good case for the chest actually being Buckingham’s last resting place can be made by one fact—his daughter Anne’s husband, George Earl of Huntingdon, actually owned the manor at Britford. It may well have been Anne who had the tomb removed from the friary at the Dissolution and transported for safety to the village church. So where are Buckingham’s bones? If you go to Debenham’s, the site of the Blue Boar Inn where Buckingham spent his last night alive, you can have a nice cream tea whilst looked at Buckingham’s not-very-flattering portrait and read a little information the tea room has written on him. They claim that a skeleton was found many years ago under the kitchen flagstones, missing a head and a hand, and that these bones were thought to be the remains of Henry Stafford. They also claimed that the decapitated Duke’s head was sent to London to be placed on ‘Traitor’s Gate’ hence the skeleton found had no skull. These two stories are problematic. It is highly unlikely even a traitor of the calibre of the Duke would be given a lowly burial in an inn’s kitchen…and goodness knows what the innkeeper would have said! Richard tended to give his slain enemies proper burials, and no doubt he did likewise with Buckingham. There is also no evidence that Buckingham’s head went anywhere other than into the grave with its owner, albeit separated from his shoulders. I believe Traitor’s Gate did not even have this name in Richard’s era. This skeleton, if it existed at all, was probably an Anglo-Saxon or even prehistoric resident of Salisbury. Another distant possibility is that Stafford was buried in a chapel out at Old Sarum castle, a mile or so beyond Salisbury. This once mighty castle was already ruinous at the time of the execution, but there was one chapel still in use in the 15th century, mainly for wayfarers. In Victorian times the chapel was excavated and a skeleton found either near the high altar or in the ambulatory–of a man who had been beheaded, but who was also wearing a prisoner’s manacles. His head lay between his knees. This unusual burial was never mentioned as a candidate for Buckingham but was rather mysteriously thought to be William of Eu, who lost a duel at Sarum in the reign of William Rufus. However, it is is unlikely to be William, for it would be very hard to fight a duel wearing irons…and, besides that, William of Eu did NOT die at Sarum, but although hideously mutilated after losing the fight, retired somewhere near Hastings and lived on for some years…. Maybe in a lab somewhere there is a battered box marked ‘Sarum’ that could contain the elusive Duke. Or maybe he is still under the floor of the destroyed Salisbury Greyfriars like Richard was in Leicester Greyfriars, with roads and buildings above him. Perhaps one day someone will open that dusty box or discover a likely burial, decide to take a closer look and do some tests. Any Staffords out there who can donate some dna?